Well, does the world really need another Chorus pedal Hmmm good argument, does it Does it really Well yeah, if it has something to bring to the table. 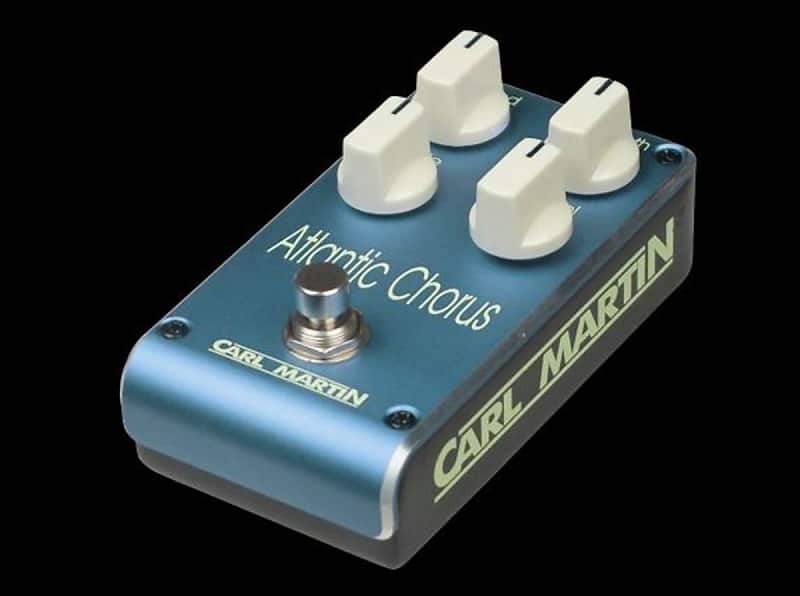 So what does the new Carl Martin Atlantic Chorus bring to the table apart from the stellar looks with its new two-toned die-cast enclosure in Ocean Blue anodized finish, small pedal board friendly footprint, connector jack on the top, and top-notch sound (off cause) Well, there are a few tricks; highly unusual for a chorus pedal, the Atlantic Chorus has a level control, which actually can boost the signal quite a bit to sit right in the mix. But the real game changer is in the RATE control knob which blends in vibrato for some more extreme in-depth chorus modulations.